Signal emitted when the user has double clicked on a date (deprecated). This signal indicates that he user has selected a new date, which is only available when in single selection mode. 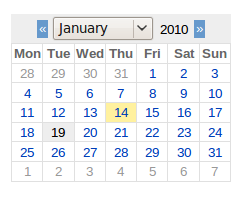 Sets the length for the abbreviated day of week ( deprecated ). The chars may be 1 or 3, which render "Monday" as respectively "M" or "Mon". The default length is 3. 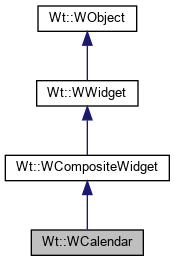 Configures single or multiple selection mode ( deprecated ). 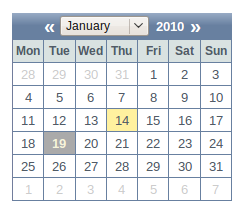 In single selection mode, only one date may be selected: the selection() will be empty or contain exactly one item.